Silver and gold will always tend to follow one another, with gold prices often performing better in a bullish move then gold, but conversely they tend to perform worse in a bearish market. 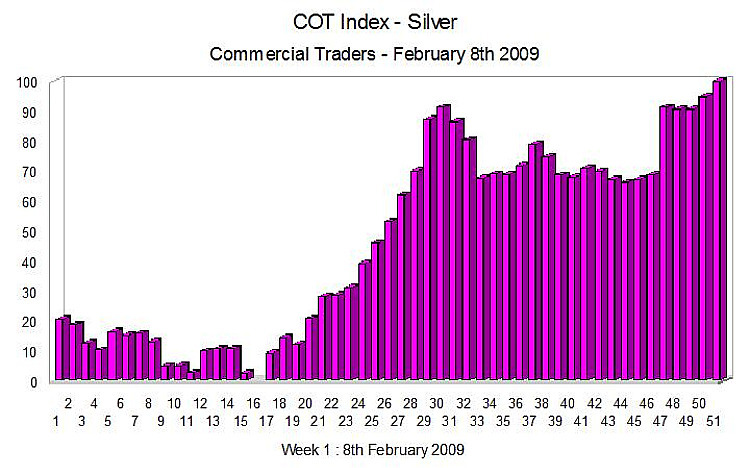 Last week we saw a rise in the Silver Index to 22, and this suggests that we are now starting to see a rise in silver prices in the short to medium term, with the low of 15 weeks ago providing a turning signal. As many of you may know I am bullish on silver so this is good news. If you would like to follow my daily posts on spot silver prices, then please just follow the link. We cannot draw any further conclusions from this week’s data which is very close to last weeks.